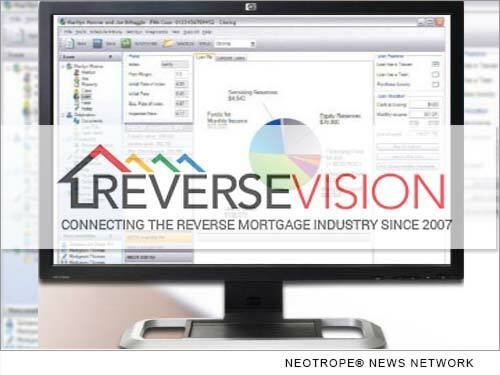 SAN DIEGO, Calif. /California Newswire/ — ReverseVision, the leading provider of technology and training for the Home Equity Conversion Mortgage (HECM) industry, will host its third annual user conference February 6-8, 2018, at the Kona Kai Resort and Spa on San Diego’s Shelter Island. * The conference will commence on Tuesday, February 6, with the premiere of ReverseVision’s Generational Lending(TM) session, an interative introduction to HECM lending designed for industry newcomers. A cocktail welcome reception for all attendees will follow at 6 p.m.
* Wednesday’s programming will include expert-led sessions for loan originators, in-depth learning opportunities with ReverseVision’s technology and wholesale partners and a special address by Jim Cameron, senior partner at mortgage industry advisory firm STRATMOR Group. The evening will close with an island-themed networking party featuring food, drinks and entertainment. * Thursday’s sessions will equip HECM lenders with the tactics they need to succeed – and even gain competitive edge – in the midst of widescale industry changes. ReverseVision’s flagship loan origination system (LOS), RV Exchange (RVX), is used by all 10 of the top-ten HECM lenders. In addition to RVX, the company offers customized client services through RV Pro Services (RVPS); proprietary data insights and web-based sales and marketing tools through RV Sales Accelerator (RVSA); and live and online training courses through RV University (RVU). Early-bird registration is available through November 15 at https://www.reversevision.com/usercon2018. To apply for corporate sponsorship or speaking opportunities, contact connect@reversevision.com. ReverseVision, Inc. is the leading provider of technology and training for Home Equity Conversion Mortgage (HECM) origination. With nearly 10,000 active users, ReverseVision technology is used by 10 of the top-ten reverse mortgage lenders and supports more HECM transactions than all other systems combined. The company’s comprehensive product suite also includes HECM sales and education tools and a dedicated professional services team. ReverseVision partners with some of the finest and fastest-growing banks, credit unions and lending organizations in the United States to provide its HECM technology to brokers, correspondents, lenders and investors. A 2017 HousingWire TECH100(TM) company, ReverseVision has also been recognized in Deloitte’s Technology Fast 500(TM) listing. ReverseVision’s annual user conference, the only event of its kind in the industry, brings together more than 200 lenders, vendors and educators each year to advance HECM lending. The company continues to build on its technology’s pioneering capabilities with frequent enhancements aimed at boosting users’ HECM volume, workflow efficiency and data analysis capabilities. For more information, visit http://www.reversevision.com.